The GoPro QuickClip can be used to attach your GoPro to baseball caps, belts and more. 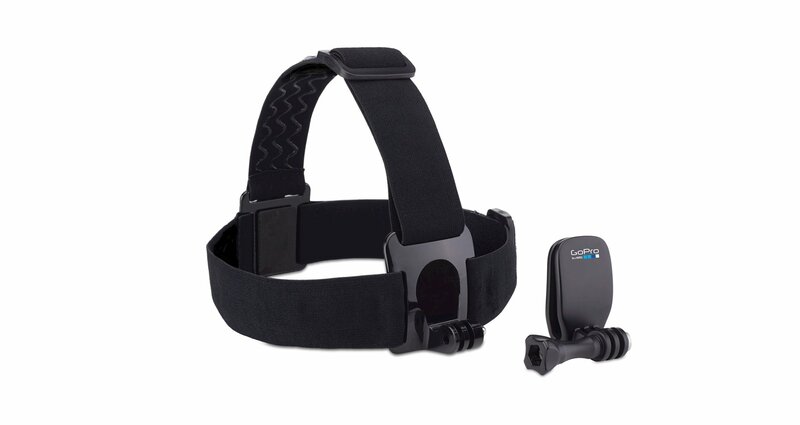 The GoPro head strap + quickclip includes a head strap and GoPro's quickclip. Together, they support a variety of head-mounting options. Fully adjustable to fit all sizes, the head strap can be worn over a helmet or directly on your head to capture footage from a headlamp-like pov perspective. The quickclip enables compact, low-profile mounting, and it can even be used to attach your GoPro to a backwards baseball cap or any other 0.12 to 0.4" thick object. The head strap and quickclip are recommended for use during non-impact activities only.